As someone who is known for some seriously gaudy running gear, I’m sure you can imagine why a Colour Run has appealed to me for some time. All the ones I’d seen were taking place in London or Brighton or some other big city that just seemed too far to travel to for a 5k. 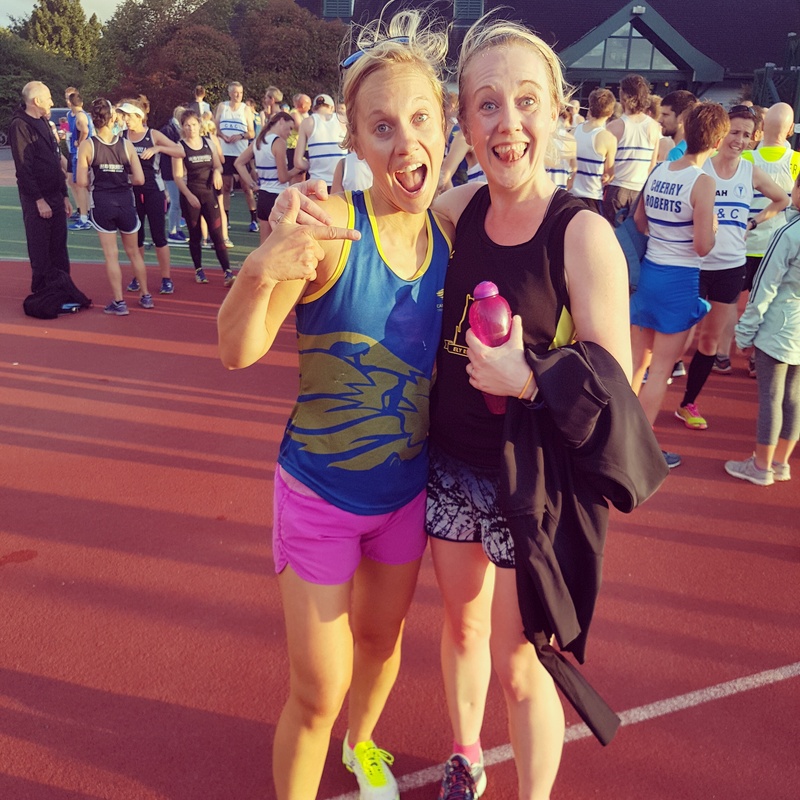 So when I saw that one was happening on the grounds of King’s School in Ely (precisely where Ely Runners do some of their summer training sessions) I signed up in an absolute heartbeat, and rallied round a few others to join me. It was a really decent day for a run – bit of sun but mostly cloud cover, not too warm but relatively windy (which would come back to bite the “paint pirates” on the arses later!). Thankfully there was no rain so the paint powders were safe to do their work. Pete, Rach and I walked to the race, and queued up for all of about 10 seconds to register and get our “race numbers” (a hand written sticker)! 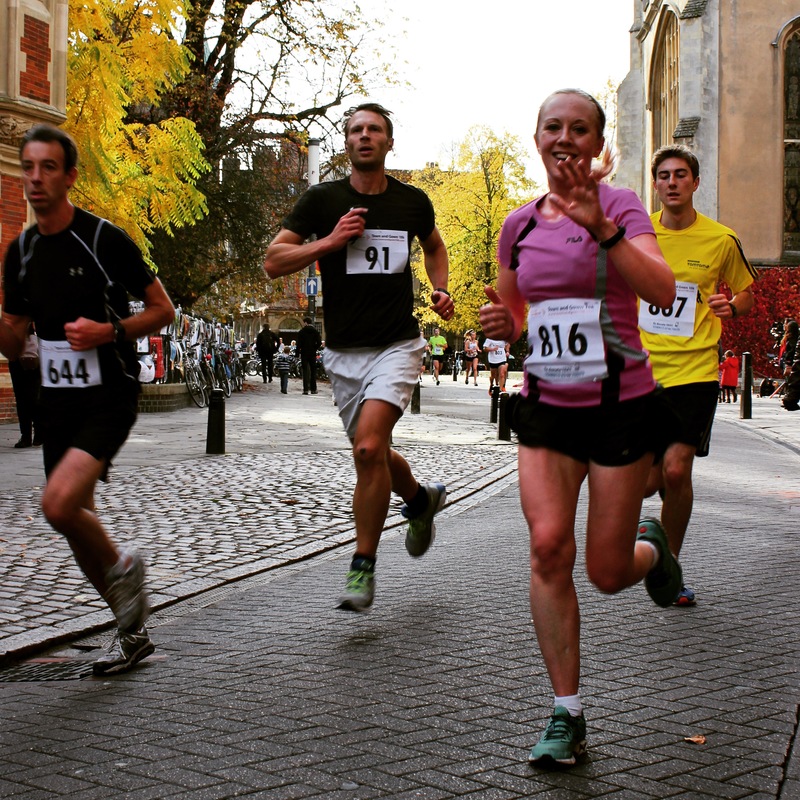 Although it may seem like a slightly amateurish setup to some, the Colour Dash isn’t really about racing (by all means beast it, but you’ll need to time yourself if you want something resembling an official time as there are no chips here). 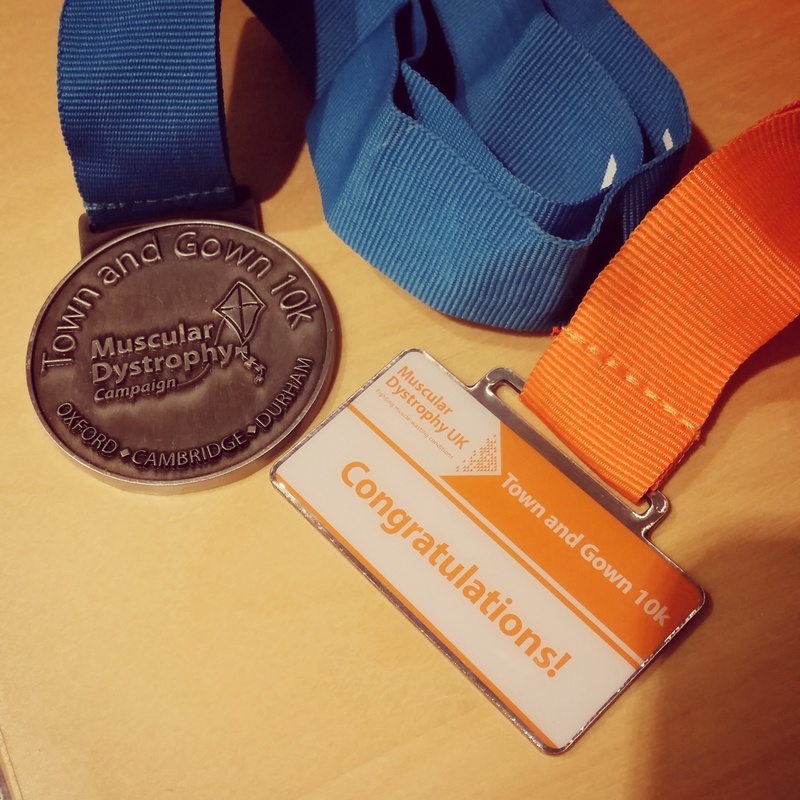 It’s about raising funds for a really fantastic charity (East Anglia’s Children’s Hospices) and giving people the opportunity to walk, jog or run a distance they might not have done before (even if a couple of folk did take a cheeky short cut)! We all lined up at the start, fearing ever so slightly for the wellbeing of the mayor who had positioned himself unwisely in the middle of the start line, and as the klaxon went off (and the mayor scuttled out of the way), Pete blasted to the front alongside 6 or 7 little sprinters (this was very much a child – and dog – friendly race) and I did my best to keep pace. For a fun run, this was actually a really tricky course. It’s almost all on grass, and there are two short sharp inclines that we know well from our Ely Runners interval training sessions. So I thought we’d be well set to take this on, but in order to make the course 5km, they made us wiggle around so that we actually had to go up 4 of those inclines per lap, which led to 8 in total. It’s one thing doing this during an interval session when you get slow recovery sections, but it’s another to do it on a fast steady run! By the time we got about 2km in, all but one of the kids had dropped back. My 5k pacing has been off for a while, so yet again I found myself having to slow to a walk a couple of times. I did my best to avoid doing this when I ran past the “paint pirates” but they still got me with some serious orange paint, and I couldn’t help but laugh when at one point a gust of wind sent the powders flying back into their own faces! I had to close my eyes when I passed the paint stations (contact lenses and powder aren’t a good mix!) so all in all it was a bizarre and unusual running experience. Pete obliterated the competition and finished comfortably in first place, and I managed to find enough in my legs to come 2nd (but I was a solid minute behind him I think). We were then gifted with some really lovely medals and we didn’t have to wait long for the others to cross the line, including Naomi who came in comfortably under her desired time, which was seriously impressive considering the course. Pete, Rach and I didn’t hang around for the paint party (but we did of course make sure to visit Sweet Ally Scoops‘ ice cream van) and considering how hard it was to scrub the blue paint off my stomach that was probably a wise move. On the whole I was so impressed with the run. The route was well thought out (if a little mean!) and the atmosphere from start to finish was just brilliant. I think EACH should be proud of what they did and I really hope they make it an annual event. It’s just a shame that the King’s School Fields aren’t available all year round, as it would make a great parkrun venue! If you’d like to try an EACH’s Colour Dash yourself it’s not too late! The King’s Lynn, Saffron Walden and Bury St Edmunds events are still open for registration. Find out more here.